This contact page directs messages to Alison Trewhela and Anna Semlyen, the yoga consultants on the University of York yoga research team. Please note that we are not able to answer specific individual questions about your back pain condition via this Contact Page. Thank you for understanding that this is not possible by email. The authors have a vision that in the future these evidence-based Yoga for Healthy Lower Backs courses will be offered under the UK NHS, councils, workplace initiatives and private health insurance schemes. Maybe similarly in other countries too. We would be grateful if you feel you could help us with that aim by informing GPs, CCGs (Clinical Commissioning Groups), STPs (Sustainability and Transformation Plan Boards), GP Surgery Patient Participation Groups, HealthWatch groups, Public Health Departments, Health and Wellbeing providers, health promotion departments, large employers, hospitals, health insurance providers, workplaces, yoga teachers, yoga students and the general public about this research, these courses and our educational resources. Alison Trewhela (Iyengar Yoga certificated, SBRCP-Yoga (British Register of Complementary Practitioners), Senior Practitioner at Institute of Complementary and Natural Medicine) began teaching yoga in The Bahamas in 1983. On return to her home county of Cornwall, she taught for Adult Education Centres. She has taught yoga workshops throughout the UK, as well as small group and individual therapeutic yoga sessions. 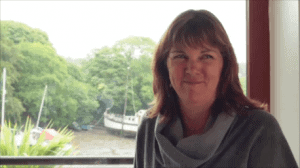 Since the inception of the Peninsula Medical School in Cornwall in 2004, she has led medical students in special studies in yoga’s therapeutic physical, mental and spiritual benefits and evidence-based yoga for NHS and is now a Specialist Visiting Tutor in Yoga and Research for University of Exeter Medical School. In 1992-1993, Alison qualified in the Yoga Biomedical Trust’s specialist yoga teachers’ course in Lower Back Pain. She learnt to diagnose low back pain conditions via individual consultations (at Walsingham Clinic in Truro). With this interest in low back pain diagnostics and treatment, she soon designed and set up 7-week ‘Better Back Courses’ for newcomers to yoga with low back pain and, whilst continually updating and improving them, received referrals from GPs, hospital pain clinics, physiotherapists, acupuncturists, osteopaths and others. Over the years, Alison has contributed to the Iyengar Yoga community by acting as Chair of the South West Iyengar Yoga Institute, Secretary for LOYA as it merged with the BKSIYTA to become IYA (UK), and has played major parts in helping to run national yoga conventions. Alison is indebted to all her teachers and students and eternally grateful for all the knowledge and wisdom that has been graciously passed down from the Iyengar family in Pune. She has gained immense inspiration by completing all 6 Levels of the Iyengar Yoga Therapy workshops with Stephanie Quirk from Pune, India, and from Ali Dashti and Richard Agar Ward. For The University of York’s yoga research trial, Alison designed the yoga programme, trained the trial’s 20 yoga teachers and enjoyed working with Anna Semlyen on the York Trials Unit‘s yoga trial 2005-2011. This work has included manual-writing (the Students’ Manual – given to trial participants and the Teachers’ Manual – for trained teachers), taking all the photos for the YHLB book, and recording the YHLB Relaxations audio tracks. Alison looks forward to contributing to more yoga research. She is a registered stakeholder with NICE with regard to healthcare guidelines and yoga, and represents yoga at conventions and conferences. She works passionately to champion yoga, via this evidence-based yoga programme in order to benefit others through its holistic health potential and regularly speaks to academics about yoga research. She teaches yoga classes, holidays and workshops in Cornwall, Switzerland and elsewhere. She trains yoga teachers in the full evidence-based ‘Yoga for Healthy Lower Backs’ programme. She is co-author of 6 published research papers relating to this specialised yoga programme and was also a contributor to a New Zealand Delphi project paper analysing and detailing how best to conduct future yoga research. She also wrote a chapter on Yoga Research for a CAM Methodology book. Alison was awarded Winner of the ICNM’s (Institute for Complementary and Natural Medicine) ‘Most Outstanding Contribution to Complementary Medicine’ Award in September 2013 because ‘she (and the research) stand out from the crowd….. and for her efforts to champion yoga as a therapeutic modality’. In March 2018, the British Wheel of Yoga presented Alison with an ‘Outstanding Achievement Award’– for decades of services to yoga, including this research project. Lead Yoga Consultant on The University of York yoga trial management team (2006-Present), Designer of the YHLB programme, YHLB teacher trainer, YHLB teacher. Specialist Tutor in Yoga for Holistic Health and Yoga Research for medical students (since 2004), previously Peninsula Medical School, now University of Exeter Medical School. Tutor for Yoga for Healthy Lower Backs Teacher Training course. Professional Advisor for Arthritis Research UK on Yoga. Senior Practitioner in Yoga on British Register for Complementary Practitioners and Specialist Advisor. 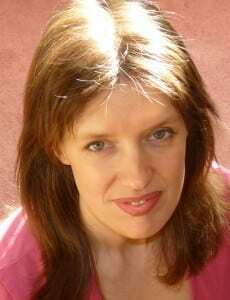 Anna Semlyen, (BA MA Philosophy, Politics, Economics (Oxon), MSc Health Economics (York), British Wheel of Yoga (BWY) Dip, Ayurveda Foundations, Reiki 2) has taught yoga since 1996. She runs Yoga in York. Anna learnt back care yoga with Alison Trewhela and at BWY In Service Training courses, plus experience of her own back care classes. Anna is Specialist Advisor to the BWY on Yoga and Healthy Backs and Therapeutic Yoga Research. She worked for the NHS 1992-3 and as a Health Economics Research Fellow at The University of York 1993-1998 before becoming a full-time yoga teacher. She is a Tutor for IST Taster days for Yoga for Healthy Lower Backs. She has been doing yoga research since 2005. From 2007 she co-authored the Yoga for Healthy Lower Backs manuals for students and teachers and a Relaxations Album with Alison Trewhela. These are educational resources used in the University of York’s trial, funded by Arthritis Research UK (formerly ‘arc‘). Anna teaches general and therapeutic classes, private lessons and offers training to yoga teachers. She has taught at BWY National Congress and is a BWY In Service Training Tutor on Yoga for Healthy Lower Backs, Yoga and Ayurvedic Dosha (constitutions), Mental Health and Concentration. This is her sixth book. She has published research papers and many articles in yoga magazines, plus recorded two relaxation CDs. Anna was elected City of York Councillor in 2011 and also works for ‘20’s Plenty for Us’, campaigning for 20 mph residential speed limits. Anna is grateful for opportunities to learn, teach and research yoga and for everyone who has made this possible. Inspirational social enterprise project represents a network of UK-wide registered YHLB teachers transferring/sharing evidence-based yoga knowledge. Research-Proven Yoga. Yoga is now recommended as a first step to managing low back pain. This social enterprise website’s associated research contributed significantly to the body of evidence supporting the use of yoga for back pain. The specific evidence-based 12-week ‘Yoga for Healthy Lower Backs’ specialised course used in this high-profile research is available throughout the UK. Yoga for Healthy Lower Backs (YHLB) (our social enterprise supported by the charity Arthritis Research UK) trains and supports self-employed YHLB registered teachers (some collaborating in Teams), to deliver the unique, high-quality, evidence-based YHLB yoga programme. Yoga for Healthy Lower Backs (Teacher Training Course) is a British Wheel of Yoga (national yoga governing body for Sport England and Sports & Recreation Alliance) ‘Recognized Centre’ of excellence in training and standards and is also a British Council for Yoga Therapy member organisation. As well as supporting YHLB Registered teachers teaching YHLB in the private sector, as part of the social enterprise’s project work, the research yoga consultants/teachers, YHLB training tutor, and YHLB National Steering Group support YHLB teachers (often in regional Teaching Teams / Steering Groups / Hubs) to collaborate with others, in order to take yoga to more people via Councils, Public Health, NHS and workplaces. Aim = to share this knowledge for the benefit of others, i.e. Please Tell Others – This project is for sharing, so thank you for telling others about this website, our research and YHLB 12-week courses and training. Many thanks for your interest in our social enterprise and we hope this website is helpful to you and others. Thank you to Perran Trewhela (www.perrantrewhela.com) and Esme Lyall for some of the artwork and colours on this website. Esme Lyall designed the CD covers and Teachers’ Manual cover. Thank you to Simon Reid and Callum Shone from Smart Exposure for some of the photographs on this website. Thanks to Mark Richards for building this website. Disclaimer. We offer this informative website in all good faith and for the benefit of those interested in knowing more about our yoga programme used in research. Any advice is general and does not substitute medical advice, which you are advised to seek before beginning any new exercise programme. The full yoga programme is designed to be learnt by a specially-trained yoga teacher using the book and the Relaxations audio tracks and is for non-specific general low back pain conditions and not those with serious pathology. We accept no responsibility or liability for incorrect use of this yoga. Yoga for Healthy Lower Backs Ltd. 08169257 Registered Company England & Wales. Gwel Hyr TR3 7NW.